One of the most frustrating things as a mental health therapist working with adult survivors of child sexual abuse (CSA) is how rarely CSA is talked about outside of the therapy office. It creates a taboo, secretive air around being a survivor and can certainly add to the shame, guilt and aloneness often experienced by survivors. 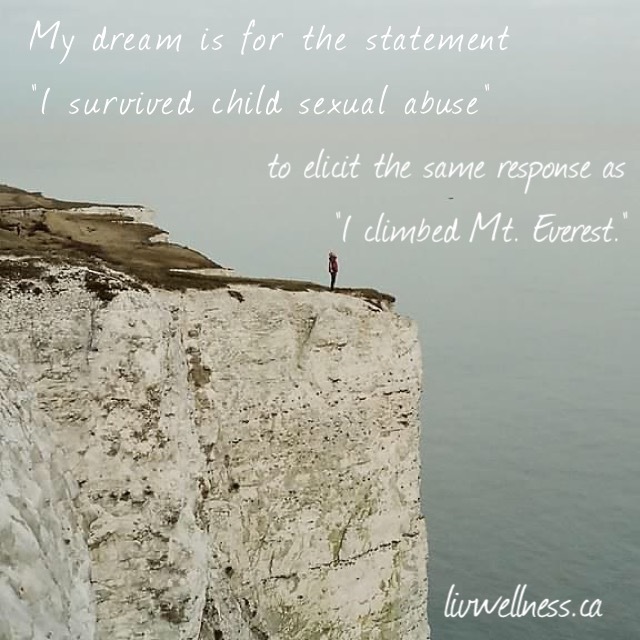 One of the most significant moments for a survivor, and to witness as a therapist, is when during therapy a survivor feels comfortable enough for the first time to share what happened, uncensored, without fear of judgment, rejection or disbelief. Another one of those moments comes when that survivor is ready to join group, and is able to have compassionate dialogue and work productively towards healing with other survivors who not only listen but understand. How wonderful of a world would it be if this transparent, authentic experience was not so exclusive to therapy? That is why I am so thrilled that on Sunday TLC with Darkness to Light and RAINN aired a special piece called “Breaking the Silence,” in part as a response to the media attention received after news broke about child sexual abuse occurring within the Duggar family on “19 Kids and Counting.” If you missed the special, watch it here. We are getting there, and CSA is becoming less and less of an unmentionable topic. The special was well done, and touched on many important aspects around child sexual abuse, including statistics, the law, emotional consequences, healing, how to respond as a parent, among other important topics. The more society can build its tolerance for discussing this epidemic, the less shame and isolation survivors will feel, and the less power will be given to perpetrators. Our societal silence empowers and enables the perpetrators. 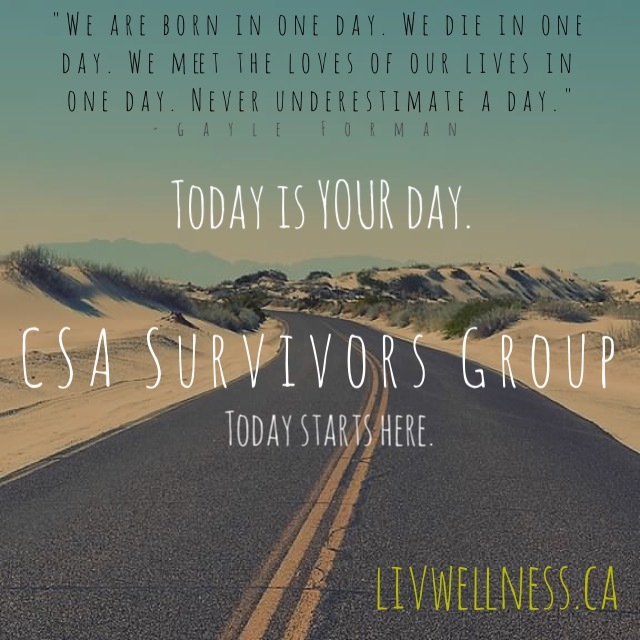 Rolling with this momentum, I am excited to announce that we are gearing up for an 8-week Survivors Group at the office in Downtown, Vancouver to start at the end of September. If you are a female adult survivor of CSA (abuse occurring at age 14 or younger), you don’t have to move through this alone. Please consider contacting me to join our safe and welcoming group! Finally, I have some new updates on the liv wellness site, including the addition of Take Back Childhood section under the Resources page. Where liv wellness provides the micro level one-on-one and group therapy for survivors of CSA, Take Back Childhood provides the macro level attention to breaking the silence, increasing awareness and education, and supporting research and effective treatment. Advocacy and social justice are important aspects for me personally as a clinical counsellor. I’m excited to see how Take Back Childhood Campaign grows and evolves going forward. Survivors and allies alike, let’s all work together to #takebackchildhood. Follow along and join the conversation on Twitter!